I just finished this piece for my fall themed silk ribbon class at Georgia’s Shop, Georgias Quilting Obsession, so I thought I would share it. The “Bergamot and Wheat” is embroidered in silk ribbon and pearl cotton. 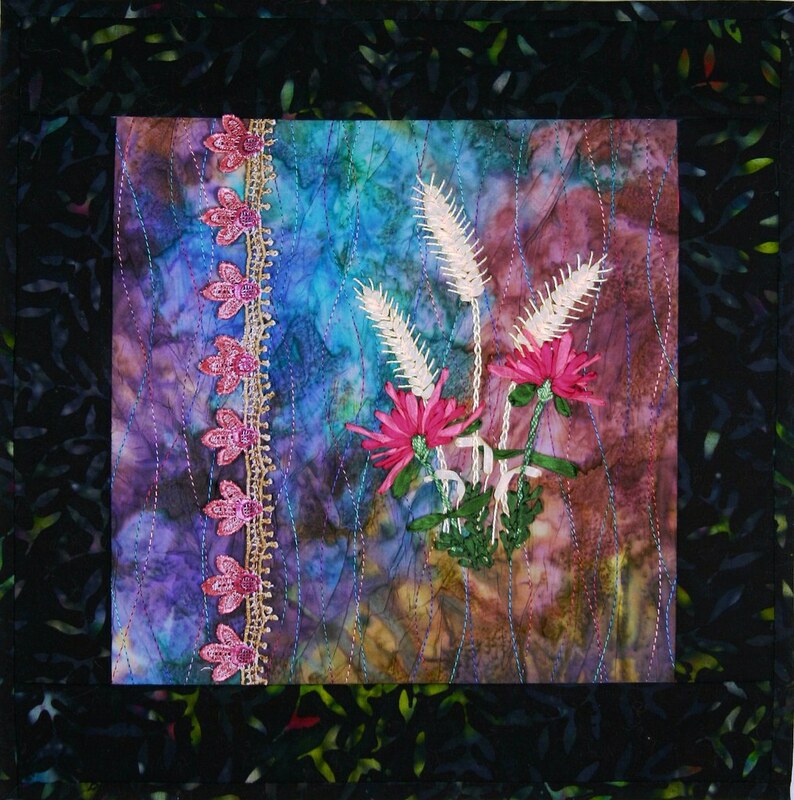 The base is crinkled batik fabric with two shades of King Tut varigated quilting thread and one of the Rainbow added for texture. Both threads are from Superior Thread. I painted the trim with Tsukineko inks to match the ribbon. Enjoy!